We’ve been bursting at the seams to unveil this year’s magnificent poster. Every year I’m floored by how generous illustrators are with their time and commitment to this project – it means the world to us. It really does. So here it is, in all it’s glory. 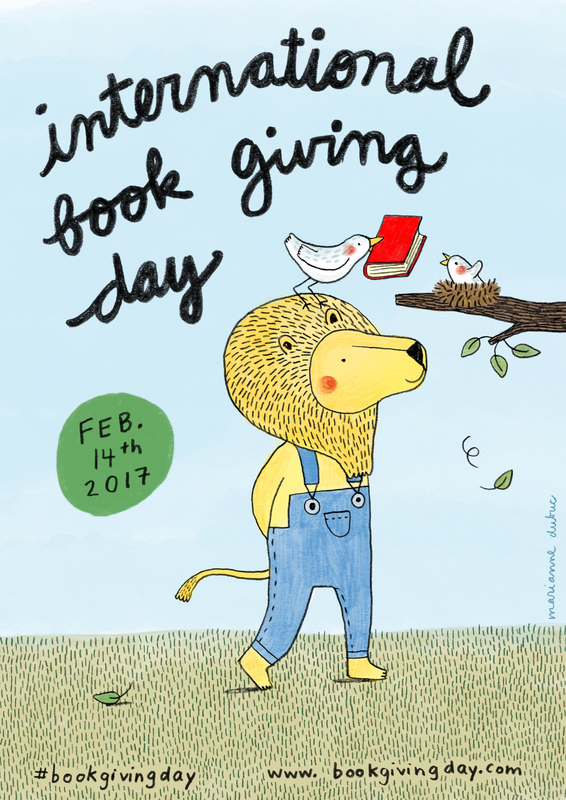 The 2017 International Book Giving Day poster created by Marianne Dubuc, what an honour to have the fabulous lion and bird characters championing #bookgivingday. Hugest thanks to Marianne Dubuc. Marianne has written and illustrated many books for children which have been translated into more then 20 languages. She is the author and illustrator of the critically acclaimed The Lion and The Bird, plus Here Comes Mr Postmouse and Mr Postmouse Goes on Holiday (March 2017). She was born and lives in Montreal, Quebec. Isn’t this year’s #bookgivingday poster magnificent?! We can wait to see where it pops up! Download it, print it and display it proudly – this is a poster that deserves to been seen! World Book Giving Day soon! Lovely! Shared on my fb and wordpress blog. You’re welcome Donna! Glad you love it as much as we do! …time to drum up some donations! It’s a wonderful poster! I love this book by Marianne Dubuc! Thank you! Hasn’t she done a brilliant job?! Yes, she has! I’ve already shared it on my facebook page!